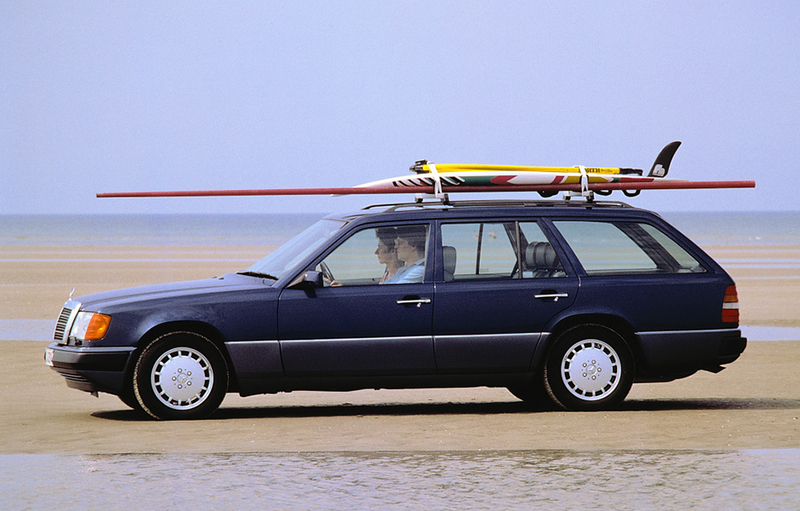 1989 was a year for innovation for Mercedes-Benz. Many model series and models of the make from Stuttgart can now obtain an H license plate (German licence plate for classic cars) for the first time in 2019. 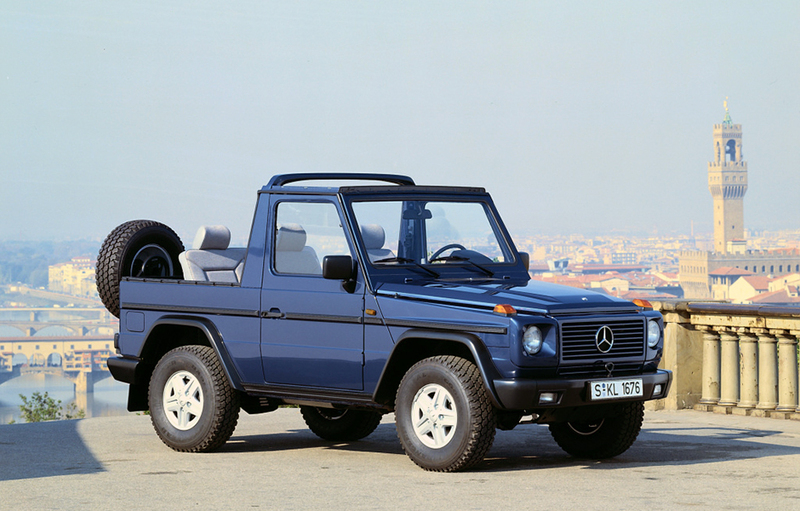 These include the SL of the R 129 model series, the G-Class of the 463 model series and the then face lifted 124 model series of the intermediate vehicle class, all launched in 1989. Today, Mercedes-Benz is the clear leader in the statistics of vehicles certified with H license plates in Germany: at the end of 2017, around a quarter of classic cars with historical certification had the star – a tenth more than in 2016. This certification recognizes original and well-maintained cars that are more than 30 years old as a technical cultural asset. This also includes tax breaks. The H license plate has been available since 1997 and has since proven itself as a model for success: By the end of 2017, for the first time, there are more than 400,000 vehicles with this certification. Of the currently more than 400,000 vehicles in the statistics, around a quarter have the Mercedes star as their trademark. No wonder then that amongst the top ten models, no fewer than five are Mercedes-Benz model series: the “tail fin” family (110/111/112 model series), the “stroke eight” (W 115/114) and the 123 model series from the intermediate vehicle class as well as the SL generations of the 113 (“Pagoda”) and 107 model series. Also new in the sphere of the 30-year-old classics are the high-performance saloon Mercedes-Benz 190 E 2.5-16 Evolution (W 201) and the face lifted Mercedes-Benz T 1 (“Bremer Transporter”) – a popular basis for a motorhome, amongst other things. The completely redeveloped SL of the R 129 model series premières in March 1989 at the Geneva Motor Show, where it is one of the most important attractions. The sports car sets stylish and technical benchmarks, particularly in passive safety. The high dimensional stability of the passenger compartment is also supported by a particularly rigid floor assembly with high-strength sheet metal panels and large girder cross-sections as well as crossings with bending resistance from the A-pillars and the rear side parts to the side members. The doors are given a decisive role as an impact-resistant connection between the front panel and center column. 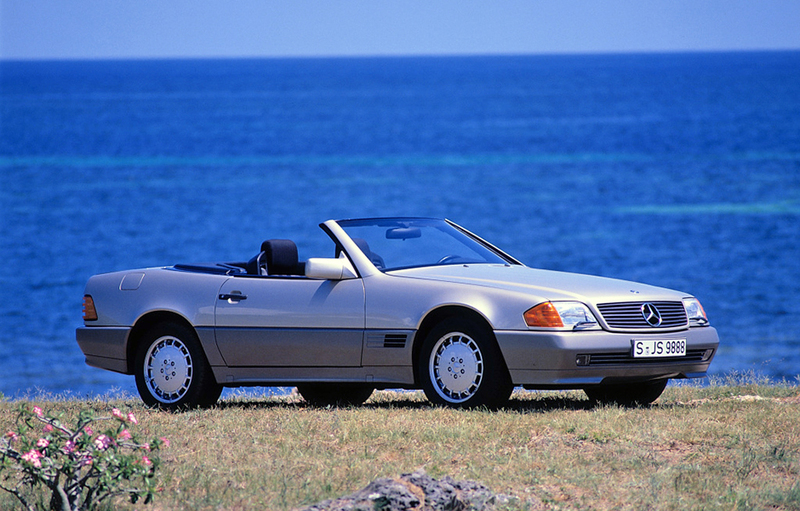 The Mercedes-Benz SL of the R 129 model series premièred 30 years ago. Photo from 1989. The cross-country vehicle of the 463 model series presented in September opens up a new chapter in the history of the G-model. The comprehensive facelift fulfills customer requirements for more comfort and paves the way for today’s G-Class; from a sober utility vehicle to a luxurious recreational vehicle with consistently high off-road capability. The technical modifications particularly include the modified drivetrain with now permanent all-wheel drive, instead of its engageable predecessor. Furthermore, the 463 model series comes with a version of the anti-lock braking system which can be switched off. 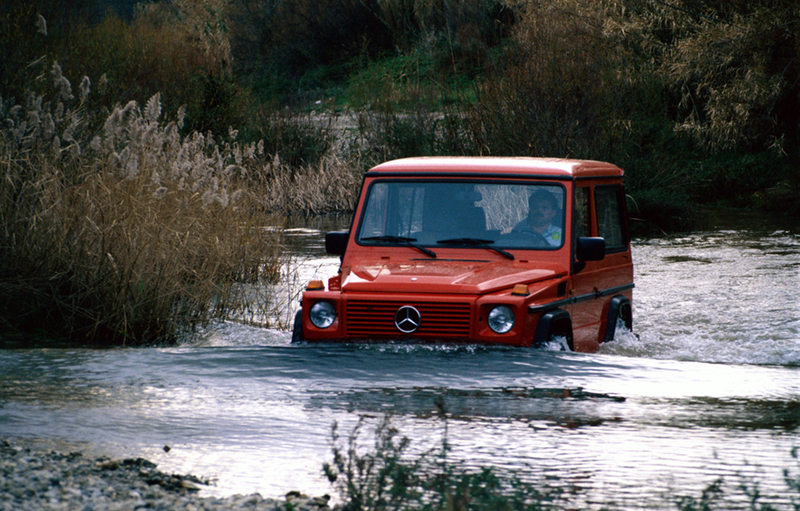 Mercedes-Benz 300 GE of the 463 model series, open-top vehicle, photo from 1989. 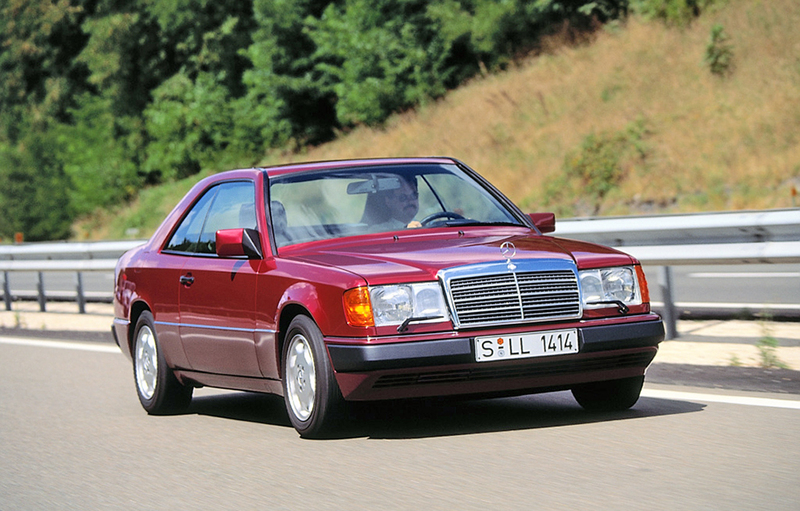 In September 1989, Mercedes-Benz presents the revised program of the intermediate vehicle class 124 model series at the International Motor Show (IAA) in Frankfurt/Main. A focal point is the stylistic overhaul of body and vehicle interior. The most striking feature of the face lifted models are side impact protection with integral longitudinal rocker panel trims and additional narrow trims made from polished stainless steel. Still on the lookout for your own classic for an H licence plate? You can find the right offer at ALL TIME STARS (https://www.mercedes-benz.com/de/mercedes-benz/classic/all-time-stars/), the car dealership of Mercedes-Benz Classic with a showroom in the Mercedes-Benz Museum.